Ryan Graves is a Seattle wedding videographer. In this interview, Ryan tells us how to find a great wedding videographer, how much wedding videography costs, and more. 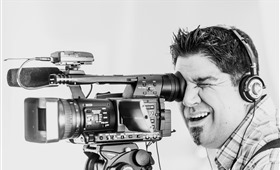 I’m Ryan Graves, and I’ve been a wedding videographer since 2003, full time since 2007. I love doing weddings, I love my wife, and I love that I get to be part of something special over and over again. Our wedding day was the greatest day of our lives, and there’s a lot of redemption in our marriage to each other. We truly loved our day, and to be part of so many others’ special day is a rich privilege. I don’t often myself film, but I produce every single wedding we shoot, and I get to produce them all with the same level of intense love that I did for my own wedding DVD (that was a hard tearjerker to get through!). For our commitment to quality, and our great customer service, we’ve won several King 5 Best of Western Washington Best Wedding Videographer awards, along with The Knot Best of Weddings award, WeddingWire Couples Choice Awards for 7 years running, Thumbtack Elite award, Borrowed & Blue Featured Wedding Vendor award, and Best of 2015 Businesses award. 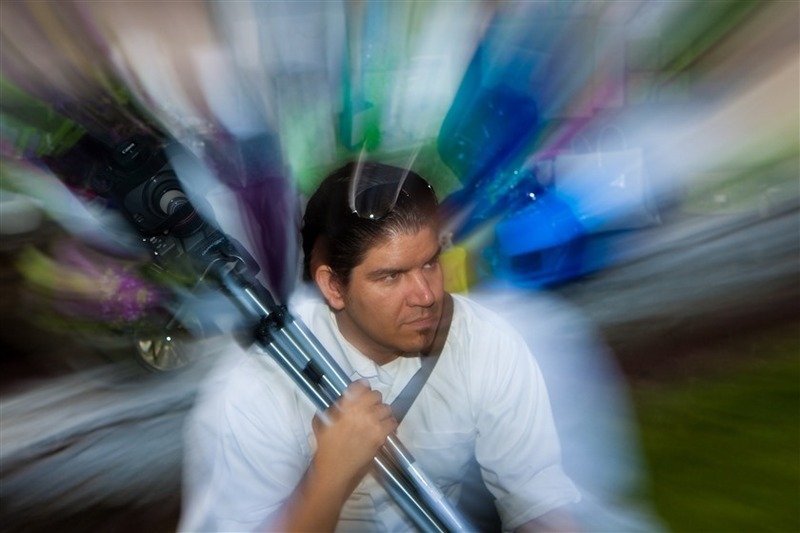 "I chose to be a videographer partially because I cherish memories. I like to make and commemorate special memories and to make sure that they’re preserved." I actually got in by accident! I was attending a friend’s wedding down in Portland in 2006, and I happened to have a Sony Handycam at the time and just happened to ask him if he was having it recorded. He said no. I volunteered. I liked it. The rest is history! I love being able to be of whatever help I can to the bride and groom on the Big Day. I get water. I fetch the Best man. I take stuff to other people. I do what is needed to do, all while filming and really helping the special party and their guests loosen up, look natural, and have fun. I am told I have a disarming presence and one that puts people at ease – and I love that I can help do that on a beautiful, yet stressful, day! I chose to be a videographer partially because I cherish memories. I like to make and commemorate special memories and to make sure that they’re preserved. My videographers (or I) usually show up at least an hour beforehand, and we go around and collect "B-Roll" while introducing ourselves and connecting with the other vendors, and of course the bride and groom. 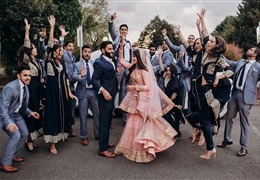 We have kits plum full of high-end 4K videographer gear, and we have enough to be mobile or stationary, to collect high-end video and audio that really makes their wedding shine on film. We shoot digital, and we shoot hundreds of clips per wedding – whether we’re a single shooter or a dual-shooter environment. We stay however long the bride and groom have previously contracted us to, and are available to stay longer per contract if things run late. But we’re very behind the scenes, and if you didn’t even know we were there, then we did our job correctly. Fly on the wall! I believe that you MUST have a videographer for your wedding, it’s invaluable and you’ll deeply regret not having it if you don’t – but I want clients to get a lot for what they’re paying for. That’s just me. I think the question I am asked most often is “what do I get with my wedding package?” The most precious answer I can give back is that they get the ability to edit their own wedding video. Now, make no mistake, I edit it myself and produce it stylistically and with love, for them to review. But they get the opportunity with me, unlike many videographer vendors, to edit their video and make any changes they’d like to before I produce the final version. I know how important that would be to me if I was a wedding client, as I have my own preferences and desires on what I’d like to see. I try to make sure that’s a huge part of what I do, and it’s frankly a huge selling point on its own. 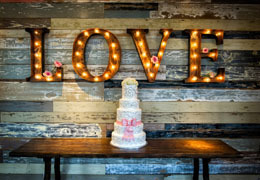 Also, we provide a free video booth during the reception to collect well-wishes from family friends and guests. What’s most important to them I think is quality for the price, and I am told time and time again that I should be charging more – but I don’t want to. There’s no reason you should go into debt for my service. 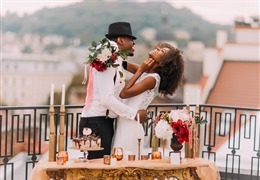 I believe that you MUST have a videographer for your wedding, it’s invaluable and you’ll deeply regret not having it if you don’t – but I want clients to get a lot for what they’re paying for. That’s just me. What locations, backgrounds, or places result in best videos? I personally think that pastoral settings work best. I love rustic, I love the outdoors, and I love lots of antique looking artifacts in the video. Modern is great, but there’s something timeless about a vast field with a decrepit and rusty tractor in the middle of it, i.e., Swan Trail Farms. Beautiful! However, I do personally as a videographer also love shooting at Monte Cristo however, it’s just an all-around fun venue that is all-in-one. And each wedding is so different from the next, each person’s tastes can vary so widely, there’s no same-ol’ same-ol’... largely a lot of those scenes do tend to be on a subconscious shot list of ours anyway, but we just show up and grin and start shooting as much as we possibly can, and are forward-thinking so that we’re in the right place at the right time to get the important events, peppering them and surrounding them with lots of B-Roll of the venue and decorations and people that flesh out the day. We offer full packages that range from $975 for 5 hours to a Platinum package that includes an engagement video, for $3450. 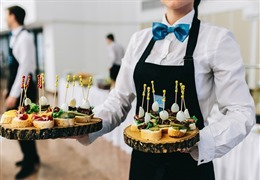 Our most popular package is the Bronze package for 7 hours of onsite time for $1375. 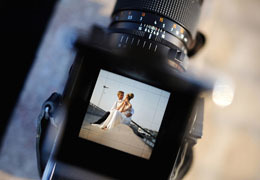 We ALWAYS include a 10% discount for any estimate that comes in via our website at www.seattleweddingvideography.com. What is the most unusual wedding or event that you were a videographer at? I think the one where they had an Elvis impersonator at Monte Cristo (Josh & Sara in November of 2014) and he was UNCANNY! It was literally like Elvis had resurrected and was performing in front of all of us. SO COOL! Sarah had on a beautiful RED wedding dress all day in a “Day of the Dead” theme that was just plain awesome to shoot. Very unique! And I’ve had amazing and fun clients like AJ & Roxy, Josh & Sara (another couple with the same name), Jaclyn & Esmeraldo, Colby & Donna, Adam & Aubrey, the list goes on and on! Memories, special, awesome... all of them. I have a very quick turnaround and pride myself on that. I offer an online downloadable Review Video that they can sit down and make their edits to on a timecode worksheet usually within a week of their wedding date (but in the busier months, within a month), and then I do their final and await photos from their photographer so that I can do full-color packaging for them and create multiple DVD’s. I also offer an HD export for syncing to their tablet or phone, or uploading/sharing with others. Videographer post-production takes as long as it takes to get photos from their photographer, as that usually takes much longer, but usually only a few months at best. And they have full copyright as well! I don’t restrict them from getting more copies through me; these discs are unencrypted and they are totally welcome to make more copies from them for friends and family. Always give my videographers the same food at the venue that you give your guests; these guys work hard, LOL! Sometimes we get the vendor meals and it’s a bitter pill to swallow because we’re working hard and we’re humans just like the next guys, but we are also soldiers and can get by on a protein bar and determination, too. We look forward to that break where we can get off of our aching feet and get some good food in our bellies before we hit Part 2 and finish out the night strong, commemorating your special day with lots of energy and passion and fun. That’s what a videographer should do! See some examples of Ryan's previous work: "AJ & Roxy's First Look", "Sara & Josh", "Toby and Yang"
Learn more about Seattle Wedding Videography and see what they have to offer!